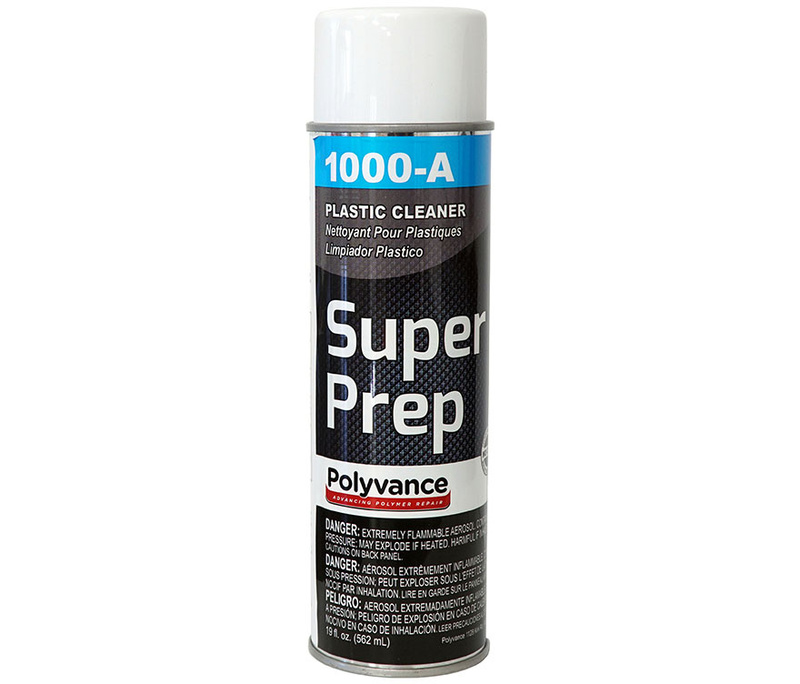 Before doing any sort of plastic repair, use Super Prep Plastic Cleaner to maximize the durability of your repair. Super Prep Plastic Cleaner removes mold release agents, wax, grease, silicone, tar, undercoating, bugs, sealers, sticker residue, and other contaminants from painted or unpainted plastic or metal surfaces. It's simple to use; just spray it on and wipe off with a clean, lint-free cloth.